Welcome! This site is devoted to the many families who homeschool and who also participate in scouting with the Boy Scouts of America. Offers many scout related ideas! Custom stained glass - specializing in awards & recognition plaques for scouters. If you are interested in conversing with other homeschooling families, who also participate in BSA, join the Homeschooled Scouts email list. You may join by sending an email to homeschooledscouts-subscribe@yahoogroups.com . This site, and the information contained within it, is put together based on the experience I had at Philmont. This is not an official BSA site; I have put this together for informational purposes only. 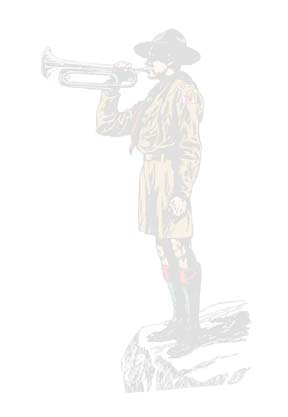 � 2000-2003 Homeschooled Scouts. All rights reserved. You may not use work on these pages without permission of owner/writer.